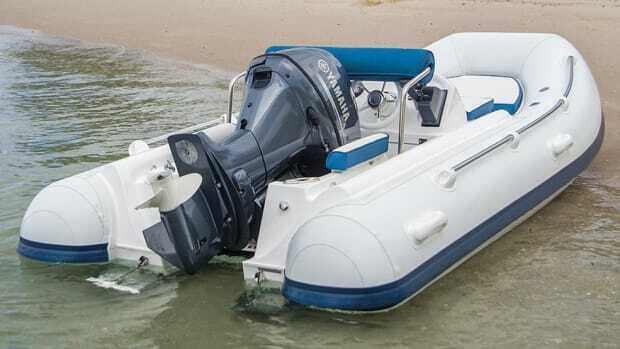 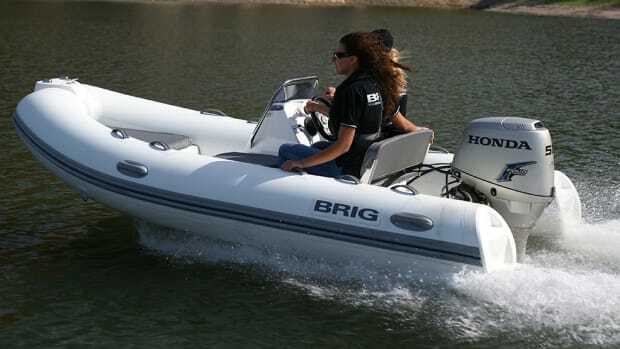 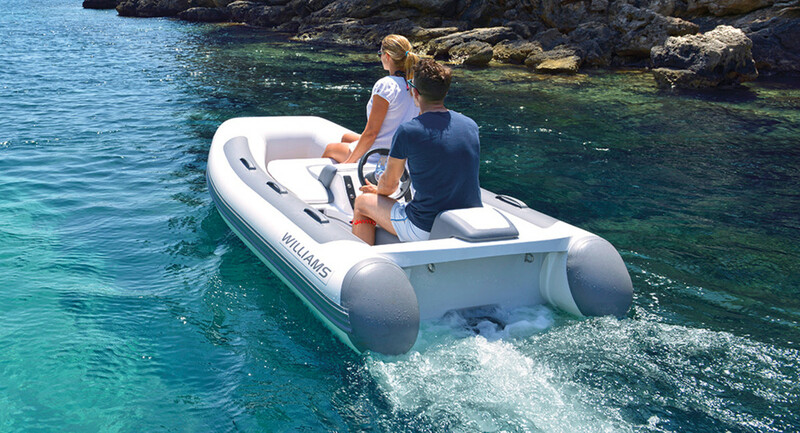 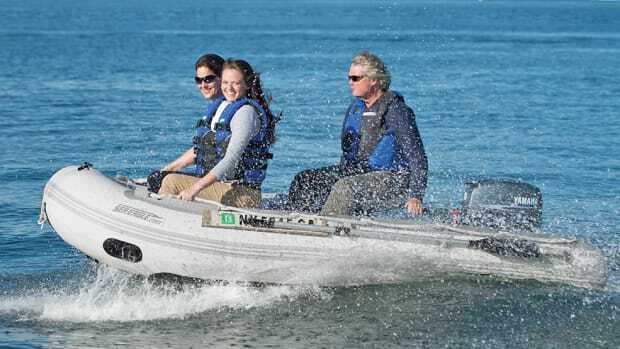 British-built Williams jet tenders have long been the original equipment found in the transom garages of European-built yachts, and the Minijet 280 offers its smallest and lightest waterjet-powered tender for yachts in the 50-foot range. 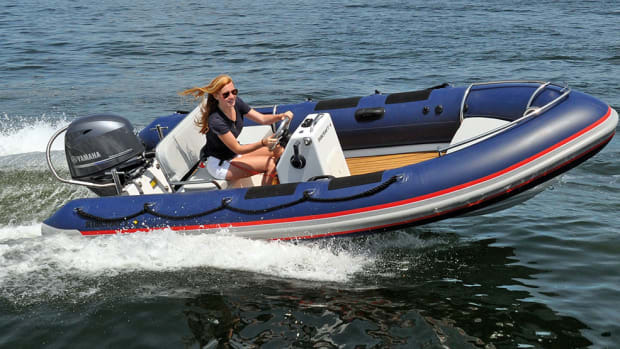 The 9-foot 2-inch 280 weighs in at just 440 pounds including its 45-horsepower BRP Rotax Ace 900 waterjet engine that pushes this RIB to a top speed of 31 knots. 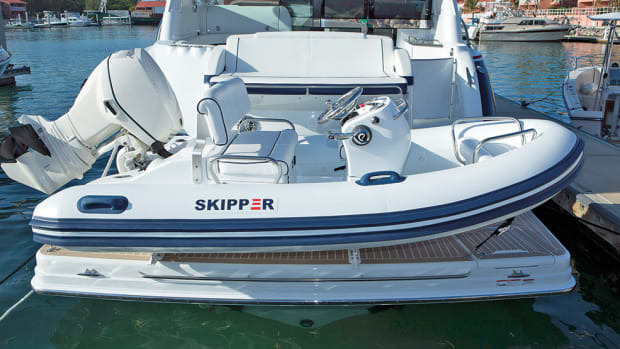 Designed to fit even small garages, it’s also suited for transom or on-deck stowage. 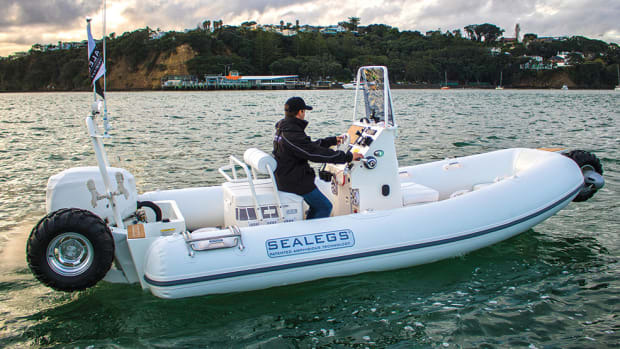 Designed to carry three people, the waterjet propulsion gives peace of mind, particularly when used by youngsters, by not having a propeller. 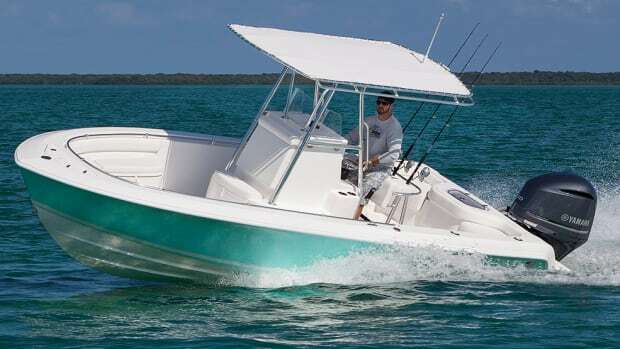 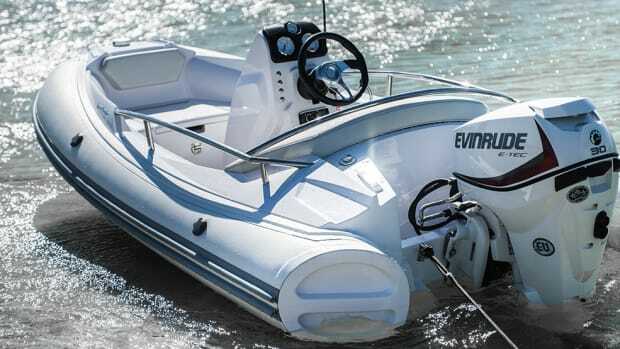 The PVC tubes include sturdy rubbing strakes and the centerline console has a multifunction instrument cluster. 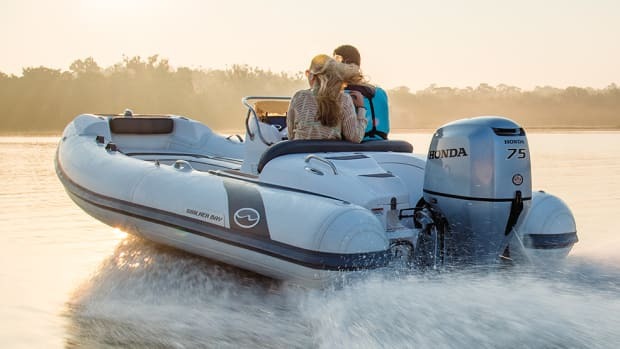 Lifting and towing eyes are standard.